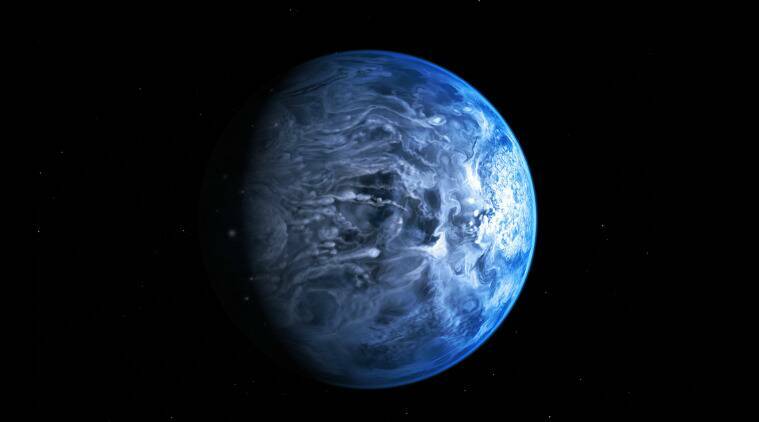 The conditions for survival on planets that are completely covered with water are smoother than previously thought, opening up the possibility that water worlds could be habitable, according to a study. Scientists have assumed that planets covered in a deep ocean would not support the cycle of minerals and gases that would keep the Earth's climate stable and thus not life-friendly. The study, published in The Astrophysical Journal, found that ocean planets could stay in the "sweet spot" for habitability for longer than previously thought. The results of researchers from the University of Chicago and Pennsylvania State University in the US are based on more than a thousand simulations. "This really goes against the idea that you need a clone – that is, a planet with some land and a shallow ocean," said Edwin Kite, an assistant professor at UChicago. As telescopes get better, scientists are finding more and more planets orbiting stars in other solar systems. Such discoveries lead to new research into how life could possibly survive on other planets, some of which are very different from Earth – some may be completely covered in water hundreds of miles deep. Since life requires a longer development time and because light and heat on planets can change when their stars change As scientists age, scientists usually look for planets that have both water and a way to keep their climate stable over time. Penn State's Kite and Eric Ford have created a simulation of thousands of randomly generated planets, tracking the evolution of their climate over billions of years. "The surprise was that many of them remain stable for more than a billion years, just by the luck of the draw," said Kite. "Our best guess is that it's on the order of 10 percent of them," he said. These happy planets are sitting in the right place around their stars. They happen to have the right amount of carbon, and they do not release too many minerals and elements from the crust in the oceans Extracting carbon from the atmosphere, researchers said. They have enough water right from the beginning and only carbon between the atmosphere and the ocean, which in the right concentrations is enough to keep things stable. "How much time a planet has depends essentially on carbon dioxide and how it was divided between ocean, atmosphere and rock in the early years," Kite said. "It seems there is a way to keep a planet habitable for a long time without the geochemical cycling that we see on Earth," he said. The simulations have taken on stars that are like our own, but the results are also optimistic for red dwarf stars, Kite said.